The original SXM Strong shirt. This is the perfect way to show your love for the island of Saint Martin. 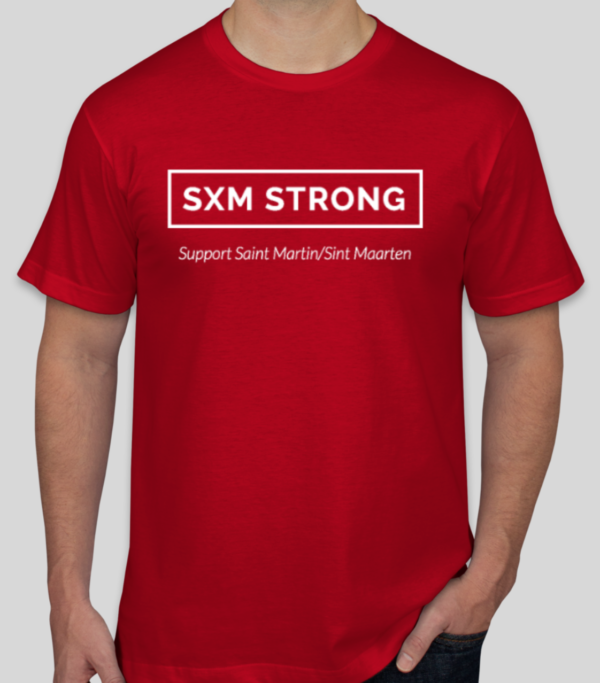 This is a colorful red American Apparel ultra-soft jersey t-shirt with white SXM Strong logo, and is the same shirt featured on the cover of the Sint Maarten National Recovery and Resilience Plan. All cotton material made with durability in mind. 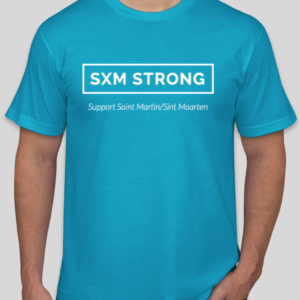 Show your support for Saint Martin/Sint Maarten with this ultra comfortable t-shirt from American Apparel. This is the original SXM Strong logo created following hurricane Irma. 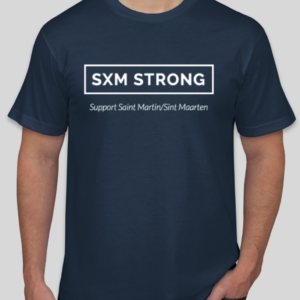 A portion of all proceeds raised go directly to support the community of Saint Martin/Sint Maarten.